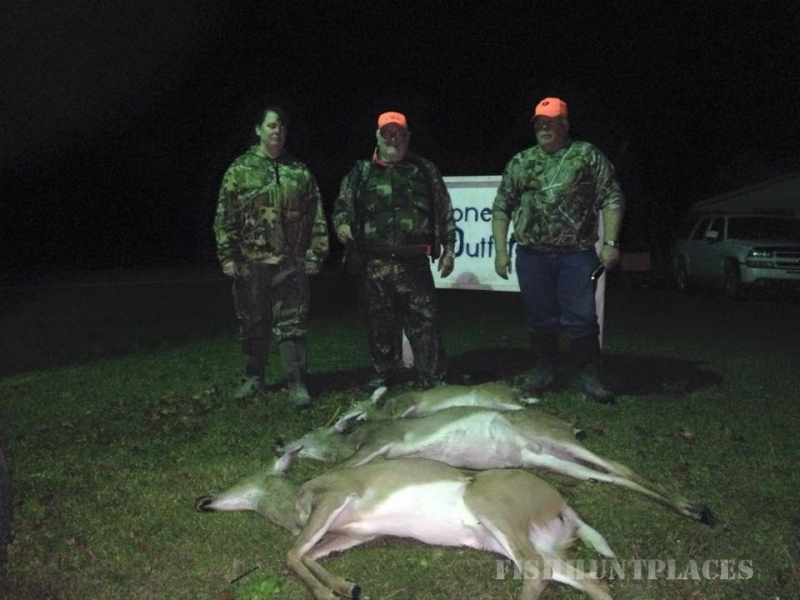 Honey Hole Outfitters, (HHO) has provided quality guided hunting and fishing trips since 1998. HHO operates on private agriculture land in Northeastern North Carolina. We manage all of our property in an attempt to raise a healthy deer herd as well as mature turkeys. The size of the deer we harvest has increased significantly over the past ten years as well as the size of our flocks of turkeys. More of our clients are walking away with trophy deer and turkeys, season after season. Striper fishing trips are offered during the spring on the Roanoke River. The chance to catch monster catfish is good during the striper run, so you never know what you might catch. HHO also offers duck hunting in late December and January. We hunt flooded timber with open swamps and beaver ponds. You will have a chance to to take several types of ducks including Mallards, Wood Ducks, Hooded Mergansers, Green Wing Teals, and Ringnecks. Also, resident Canadians as well as migratory birds can be taken. Come join us at HHO for an outdoor adventure or a lifetime. We will do our very best to provide you with great service and a memorable experience.